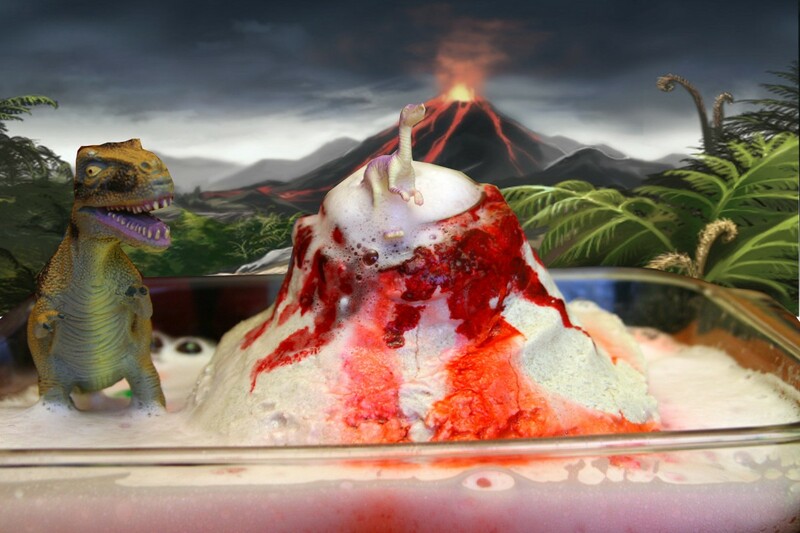 Making an erupting volcano is a classic science experiment for young children. This project can be created for a science fair, as part of an earth science unit, or as part of a chemistry unit. The volcano's body is made from salt dough, which is inexpensive. The volcano can be baked and sealed with an acrylic sealer if it is intended for long-term use. There is no need to bake the dough if the volcano is made for a one-time demonstration. For use in a science project, consider painting the volcano - use acrylic paints, as tempera paints will begin to peel from the surface of the salt dough over time. 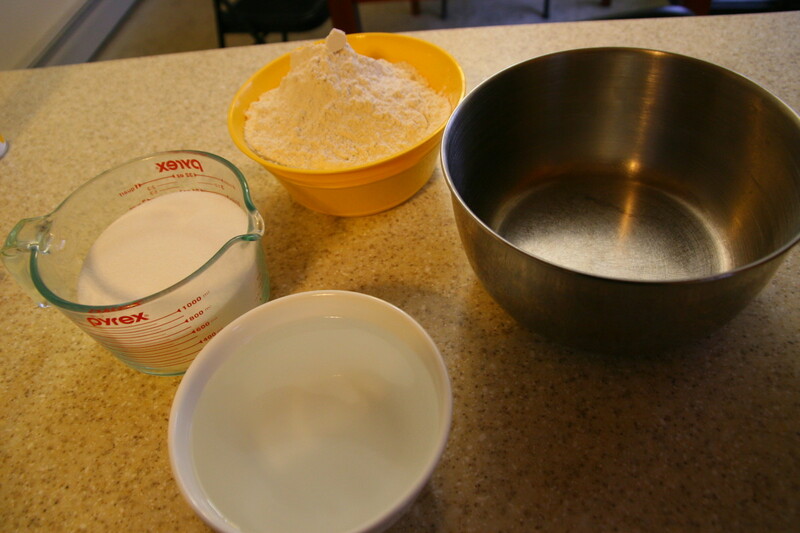 Mix the flour, salt, and water in a large mixing bowl to form a smooth dough. 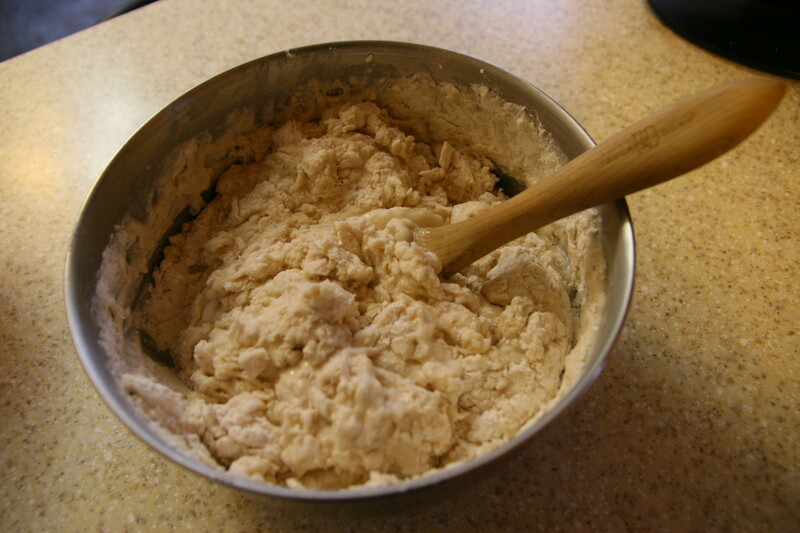 Place the dough in a baking dish, and mold the dough into a volcano shape around a glass jar. If desired, bake the volcano at 225 degrees Fahrenheit until the dough is dry. This may take 4-6 hours. Baking the volcano will allow it to last longer. Paint the volcano and apply an acrylic sealer. Acrylic sealer is available at most craft stores and is easy to spray onto the finished volcano. Allow the paint and sealer to dry. This step is optional, but recommended if the volcano is meant to last for more than a single day. Place a few drops of liquid dish washing detergent into the glass jar. Add 2 tablespoons of baking soda. A few drops of red food coloring may also be added, if desired (this will make the eruption take on the color of the food coloring). To make the volcano erupt, pour in some vinegar (about 1/2 cup) and watch the "lava" flow! What Makes the Volcano Erupt? This "eruption" is a chemical reaction between the baking soda (sodium bicarbonate) and the vinegar (acetic acid). There are two reactions that take place to create the bubbling foam that flows. The first reaction is a double replacement reaction. The sodium carbonate reacts with the acetic acid to form carbonic acid. 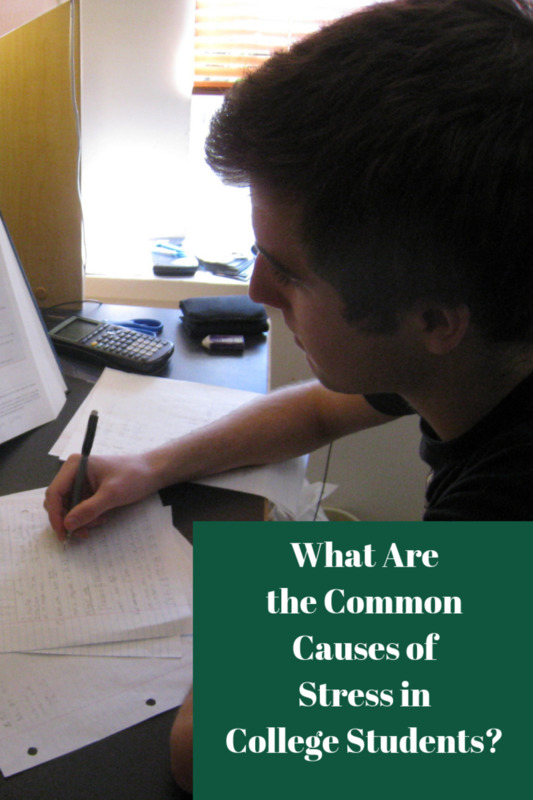 The second reaction that takes place is a decomposition reaction. The carbonic acid is unstable and quickly decomposes into water and carbon dioxide (a gas). The formation of the carbon dioxide gas (CO2) is what creates the foam pouring out of the volcano. 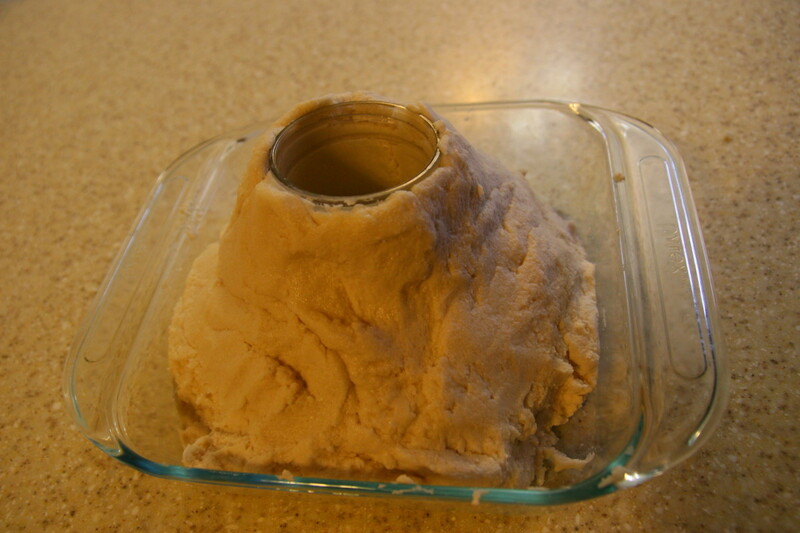 For a more explosive volcano, make a salt dough volcano and mold it around a plastic soda bottle. Do not bake the volcano with the plastic bottle in place - simply use an uncured version of the dough. If desired, allow the salt dough to air dry - this will take several days in a dry, warm location. Add soda to the bottle - diet soda is the best, as it won't create a sticky, sugary mess. Place the volcano on a table outside, and drop the Mentos candies into the bottle. A fountain of foam will quickly shoot into the air. This "eruption" is extremely impressive - and messy! Do not perform this experiment indoors, as the jet of foaming soda will make a huge mess. This reaction occurs because the chalky surface of the Mentos candy is filled with tiny holes. This allows a physical reaction to occur (as opposed to a chemical reaction). 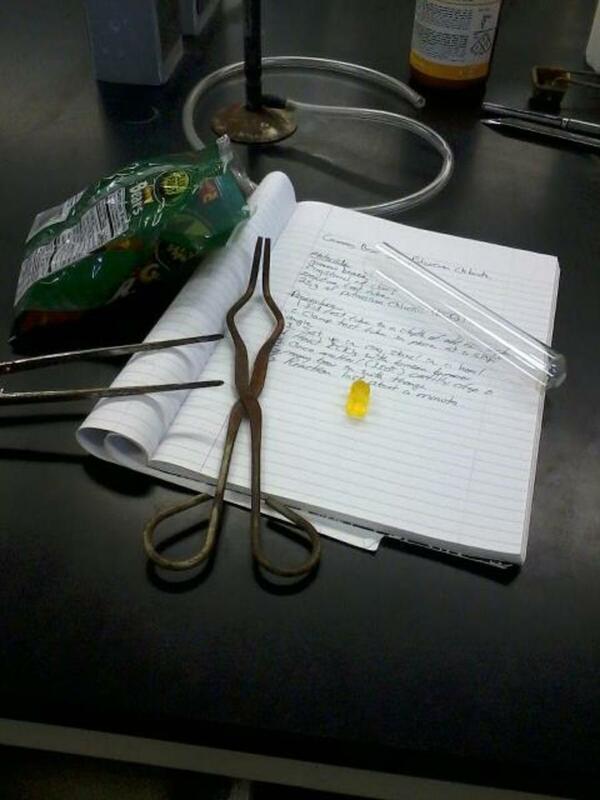 The carbon dioxide in the soda fills the microscopic holes in the candy and begins to expand rapidly. This is a process called nucleation. What is the best thing to make a model volcano out of? Salt-dough is the easiest material to make a model volcano. Plaster will take longer to dry, but is also an easy option. Air-dry clay is also easy to work with, but is expensive to purchase. 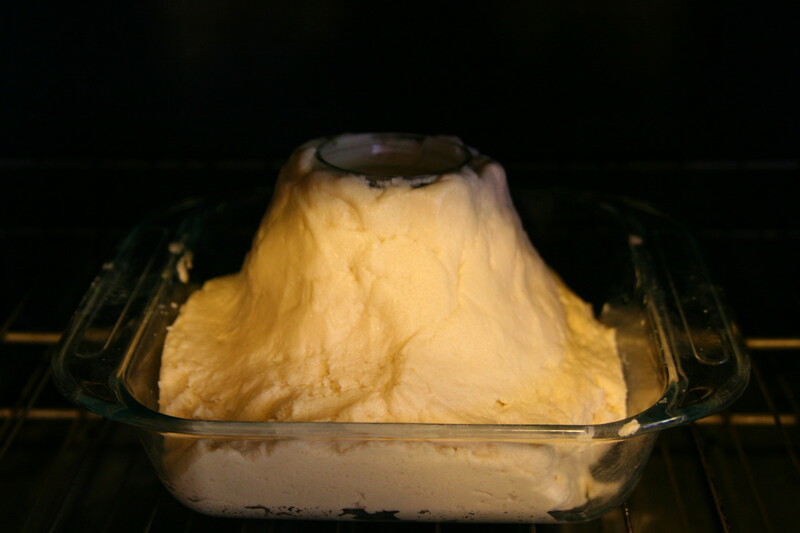 Instead of using a baking dish, could you use a paper platform to make a salt-dough volcano? You can use a paper platform for your volcano, but be aware that when you add liquid the "lava flow" will saturate the paper and could leave you with a big mess. An alternate plan would be to use a cardboard box with aluminum foil lining. The reacting vinegar/baking soda mixture will be contained using this strategy and you won't have to sacrifice a baking dish for the duration of the project. I want to do this for the Science Fair. Will that be okay? Hello, Josiah - the volcano can be any size, adjusted by the quantity of salt dough you are willing to make. Hi Sel, you could absolutely use food coloring for the dough instead of painting. You might want to try using the gel food coloring to get a more intense color. Gloves might be a good idea as well since the food coloring might stain your hands! Hi Evan - you can certainly try making the salt dough with less water. Let us know how it turns out! Thanks, Writer Fox! We do a lot of projects over the summer, and the kids LOVE it! 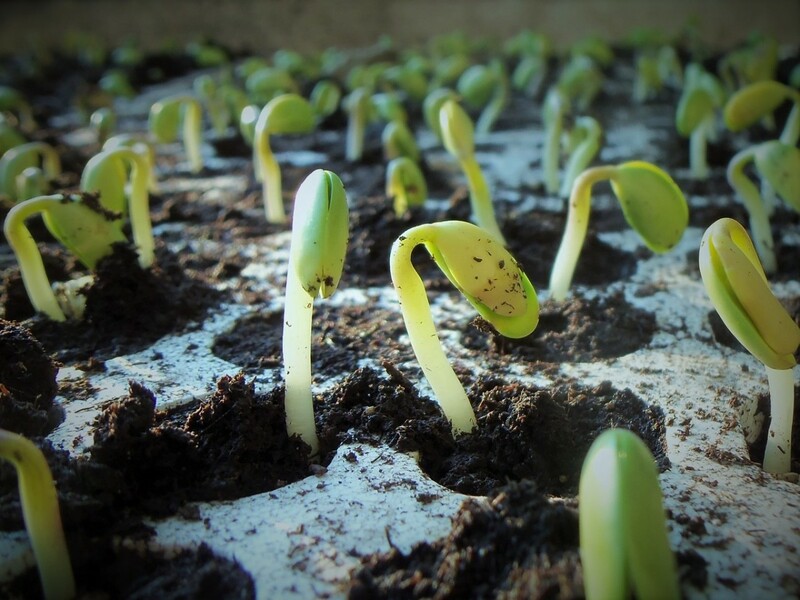 What a great science project for little ones. Loved your video! They are fun - everyone should do this at least once in their lives, Lipnancy! This looks like awesome fun. I never made one of those. We had a lot of fun with it, randomcreative. You can speed up the process by not cooking the salt dough - you can use it in "raw" form and just toss the volcano when you're done with it. How fun! I had no idea that you could do this with salt dough. Thanks for the great tutorial. 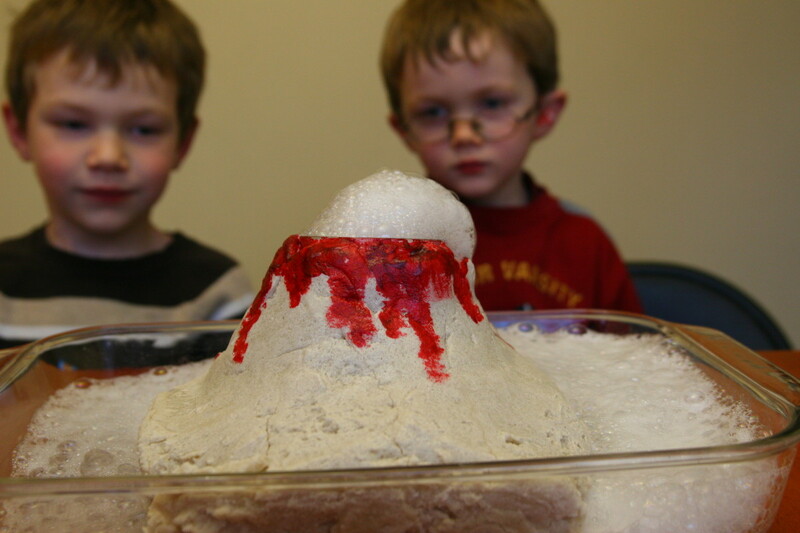 It is a classic science experiment for kids - my boys hadn't done this experiment before and they loved making the volcano "erupt" over and over again. I am going to try to do the soda and Mentos version this summer, Mhatter99, when I can keep it outside! Thank you for the memories. We are no stranger to our friend "the volcano". They really had a great time with it. There is baking soda and foam all over the table, RTalloni! I was always stronger with English and the Biological Sciences than with math. 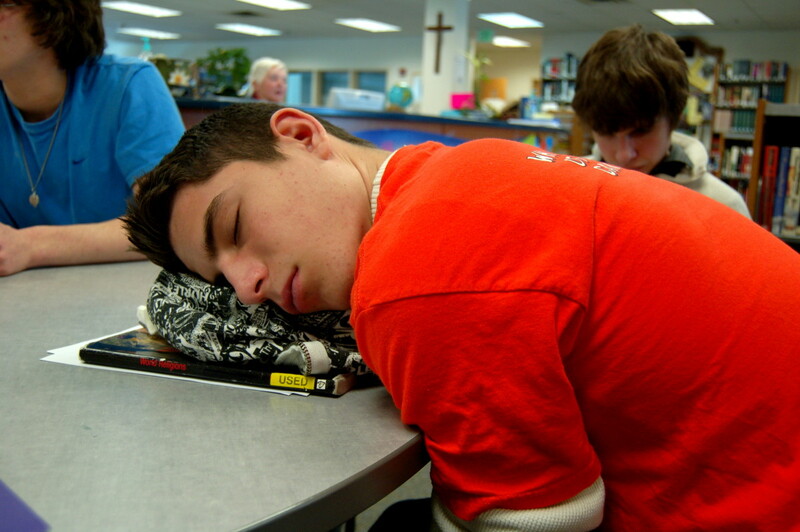 I really had to work hard at the higher math concepts. I don't believe there are any "childish" experiments - a lot of theoretical science is accessible to everyone, because you don't need an understanding of quantum physics to get the general gist behind the ideas. Many of the great scientists of old based their theories on experiments, and the mathematical basis wasn't determined until a later point in time. 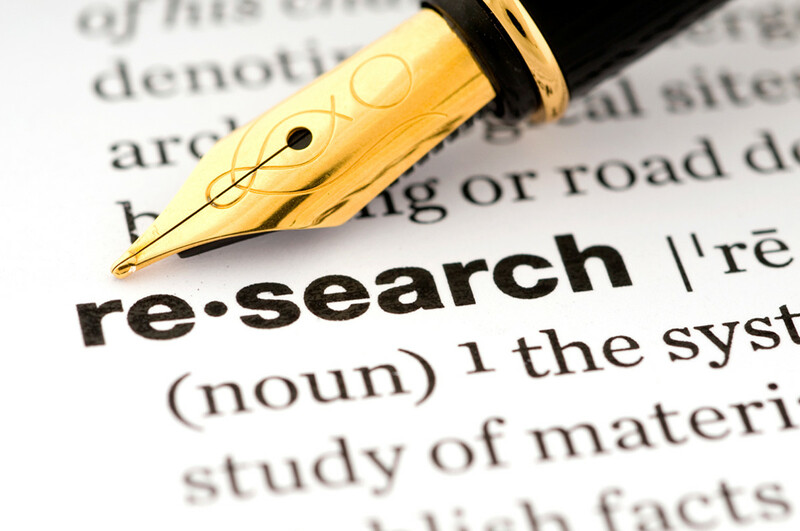 Basic ideas regarding genetics and chemistry were determined long before anyone had an understanding of how DNA works or how atoms share electrons. The dish soap makes the foam "flow" a little better, DzyMsLizzy - it makes the foam a little more resilient and it cascades down the sides of the volcano for a slightly longer period of time. It works just fine without the liquid detergent, though - the second or third takes I did with just baking soda and vinegar. Lemon juice definitely works. You just need an acid to donate the H+ ion for the reaction. Once you make carbonic acid, the reaction will continue. I actually want to start a science club for kids in our area - I have a ton of ideas and really want to spark a love for science, math, and engineering. The Mentos in Diet Coke are extremely impressive - you get jets of foam instead of a quieter baking soda and vinegar reaction. It is 28 degrees (F) outside at the moment, so we are sticking to the great indoors for our current experiments! This is definitely a recipe, bankscottage - just not one you can eat! My poor husband was disappointed when he found a volcano in the oven instead of cookies. We never used dish soap, either, and it worked just fine...I wonder what that adds? LOL--I remember the mentos candy experiment as done by the Mythbusters...They got a fountain almost 15 feet high up the side of their building! Impressive, indeed. Fun hub--voted up across and shared. I loved making "volcanoes" as a kid. I'm sure I did it at least once as a science project. I don't think I got as sophisticated as baking it or using acrylic paint. Kids today just use the Mentos in Diet Coke. No sense of tradition. Nice video, very professional looking.